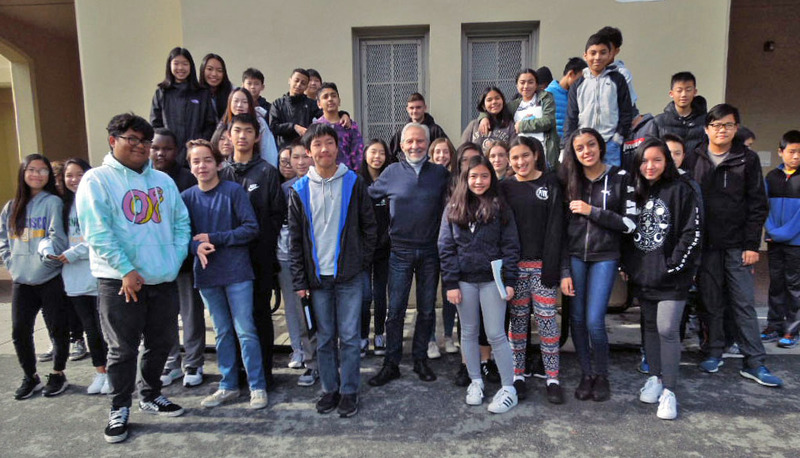 Francisco Middle School was established in 1924, and during its more than 90 years of San Francisco history has served many illustrious young students, such as baseball legend Joe DiMaggio and 9/11 hero Betty Ann Ong. Now its high-diversity student body, numbering over 600 youth in grades 6, 7 and 8, mostly live in San Francisco’s North Beach, Chinatown, and Tenderloin neighborhoods. Since these neighborhoods still include large populations of first- and second-generation immigrants, around 80% of Francisco MS students speak a language other than English at home, and roughly 90% are classified as somewhat economically disadvantaged. Francisco’s focus therefore must be on facilitating its students’ enduring success in high school and beyond by providing them with a deft command of academic English. Furthermore, many students and their families originally come from nations such as Vietnam, Yemen, Guatemala, El Salvador, and Honduras, where war or violence have been or still are a tragic part of their recent experience and modern history. Effective teaching of such students must be, in my opinion, more challenging, but also more gratifying than teaching ‘typical’ American students, and it therefore calls for teachers with a special dedication or calling to their profession. At the same time, Francisco students who have experienced war or violence in their home country, or in previous generations of their extended family, perhaps can relate much easier to my childhood. My presentation at Francisco was part of an 8th grade course on history, human rights, and the Holocaust taught by Language Arts & Social Studies teacher Michael Guenza, who organized the event with the support of Principal Patrick West. Besides Patrick West and Michael Guenza, other Francisco staff members in attendance included Kylie Neimeth-Lazar and John-Michael Lisovsky. 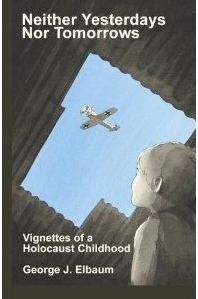 The event was arranged by Nikki Bambauer, Program Coordinator, Jewish Family and Children’s Services Holocaust Center. Due to accidental delays en route, weeks+ after my talk at Francisco Middle School I received an envelope with three dozen notes & letters from the students plus a note from their teacher Michael Guenza that was wonderfully gratifying and humbling at the same time. As usual, my wife Mimi and I read the notes & letters, with Mimi reading each one aloud while I listened and absorbed it mentally and emotionally. We also admired the creativity and whimsy, such as a note cleverly folded to be its own envelope, and we enjoyed the humor and warm feeling of the colorful drawings, which included two of the Golden Gate bridge, two of my dark blue sports car, and me giving Mimi some strawberries, as happened 46 years ago. Considering these notes & letters were from middle school students, we were amazed by the maturity and sensitivity shown in the them. I therefore want to share with the reader some of the students’ statements which resonated with us, and also some of the drawings. It’s so upsetting that the war was once someone’s reality. Your presentation made me understand the struggles so many people went through. You were so lucky to be alive and I am so lucky to hear your story. I hope that this letter cheers you up from the sad moments you went through. I hope you share your story for as long as possible because it hit me emotionally and my hit others also. I am especially happy that you are living a good life now. If you spoke to a German person, would you get some tension going through your mind? It was exhilarating and frightening at the same time. I’ve been to dozens of presentations/speeches before, but this one was one of the most meaningful and memorable speeches I’ve ever been to. I want to thank you for being brave in talking about this cruel time. Nowadays kids are complaining about the littlest things and others in the past were starving! I complain to my mom and dad that I don’t like the food or something else they gave me, and knowing you didn’t have anything to eat, so for now I will try not to complain. Thank you for teaching us that. I think right your stories are most important today. You can tell your stories for others who are facing a lot of struggles in their countries. You are the voice for them. They are going through a lot to and you can help inspire them. You can also change other people’s perspective. I think you are very lucky and nice too. I also want to thank you for sharing these things that are very depressing and heartbreaking. You really were a child of luck. Thank you for sharing your memories about the Holocaust and making us feel like we were back in time.